Medicinal plants are growing where? In the yard? That can't be right. The yard is just grass and weeds. Maybe so, but did you know some of those "weeds" can be used as medicine? Weeds are often misunderstood and thought of only as the annoying plants responsible for creating extra yard work. While weeds certainly have a robust ability to survive and prosper, some of them also have medicinal value. I like to think of these plants as if they are in costumes. Dressed up as weeds, but really just medicinal plants underneath! Who knew you had a backyard pharmacy right out your window? It is pretty cool to have free medicine at your disposal. You also don't have to worry about over-harvesting, as these "weedy" plants will most certainly come back! This is not a simple question to answer. There are tons of medicinal plants growing in yards across WNY and beyond. In fact, there are whole books written on this very topic. In order to simplify things, I have chosen 3 easy to identify plants that are almost certainly growing in your yard. You have probably cursed these "weeds" and pulled them out numerous times! Be 100% sure of the plant's identification before using or consuming. Only harvest in areas that are not subject to run-off and have not been treated with chemicals. Consult your physician before taking any new herbal medicine. Without further ado, let's learn about some medicinal plants! As you can see from the image this plantain is not banana's starchy cousin. This plantain is nature's band-aid! Plantain is easily identifiable and found everywhere here in WNY. I bet you recognized it right away! 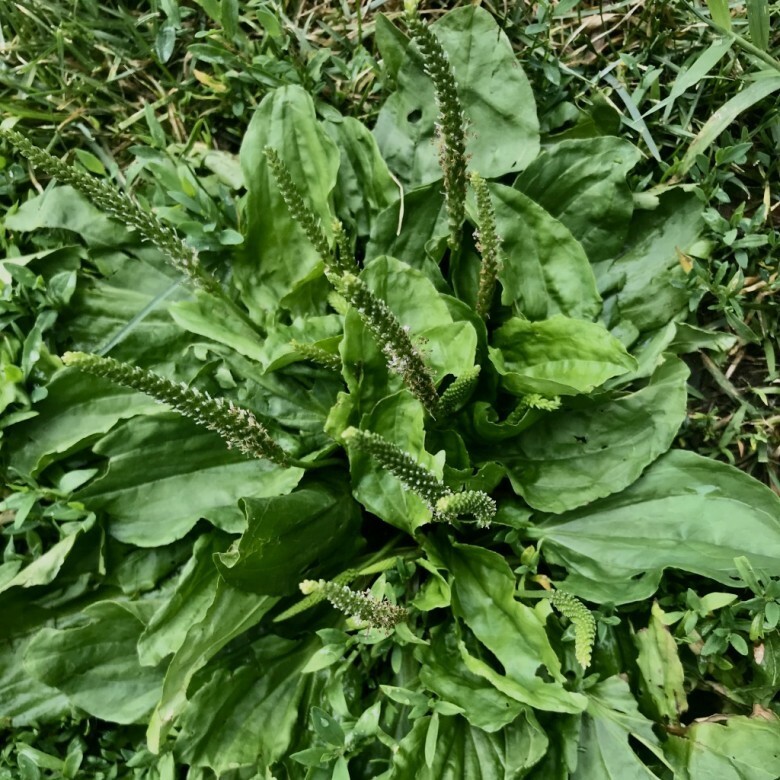 Plantain makes a great poultice (plant material, usually moistened, placed directly on the skin). This treatment works wonders for bug bites, bee stings, poison ivy, acne, and other skin irritations. Plantain speeds healing and can help to prevent infections. The coolest way to create a plantain poultice is to chew up a few leaves and then place the goopy mixture right on the affected spot. Definitely a crowd pleaser with kiddos! If this weirds you out, you can certainly chop up the leaves or whiz them in a food processor. Bonus points if you use an additional plantain leaf as a band-aid to secure your poultice in place. Leave the poultice alone for at least a few hours or best-left overnight. The seeds of plantain can be used as a laxative and to treat a sluggish liver. Plantain leaves are edible, but I would limit intake to new growth. The larger leaves can be quite bitter and not very palatable. You can also make a tea with the leaves to internally fight infections and speed healing. No image is necessary for dandelions. We have all been acutely acquainted with this plant ever since we were kids blowing the seeds all over the yard. However, you may not have known how useful dandelion is as a medicinal plant. All parts of this plant are edible and useful. How awesome is that?! 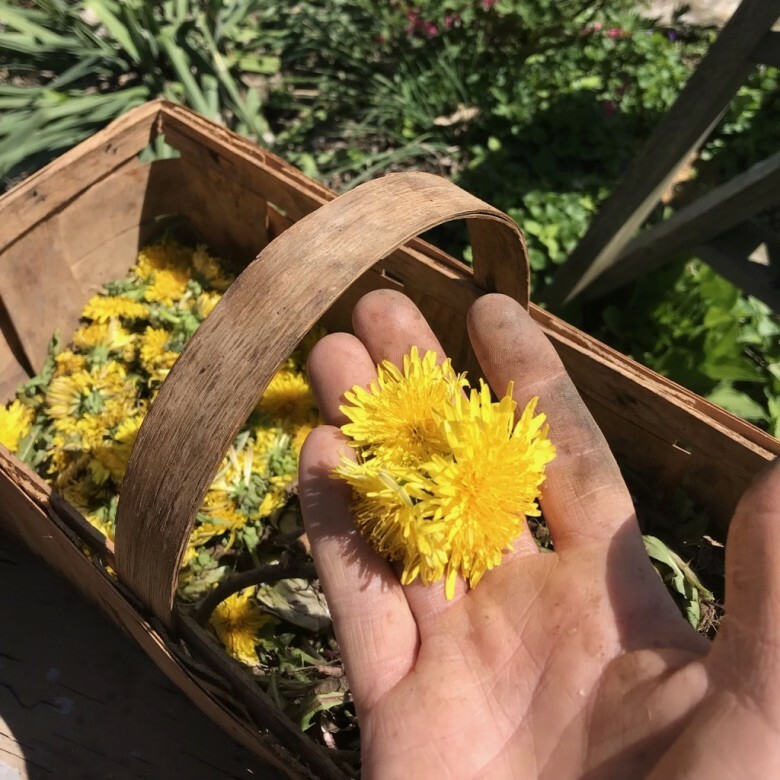 Dandelion is rich in vitamins A and C as well as the minerals calcium, potassium, and magnesium. The leaves can be eaten raw or cooked like kale or collard greens. Flowers can be used as a garnish in salads, in iced tea, or to make wine. You can make a tea with the roots and leaves to help with digestion, liver function, and as a diuretic. An interesting coffee substitute can be made with the roasted roots of dandelion. This is a welcome solution to those who can't have caffeine! Self-heal is likely the plant that takes an extra glance to identify next time you are in the yard. 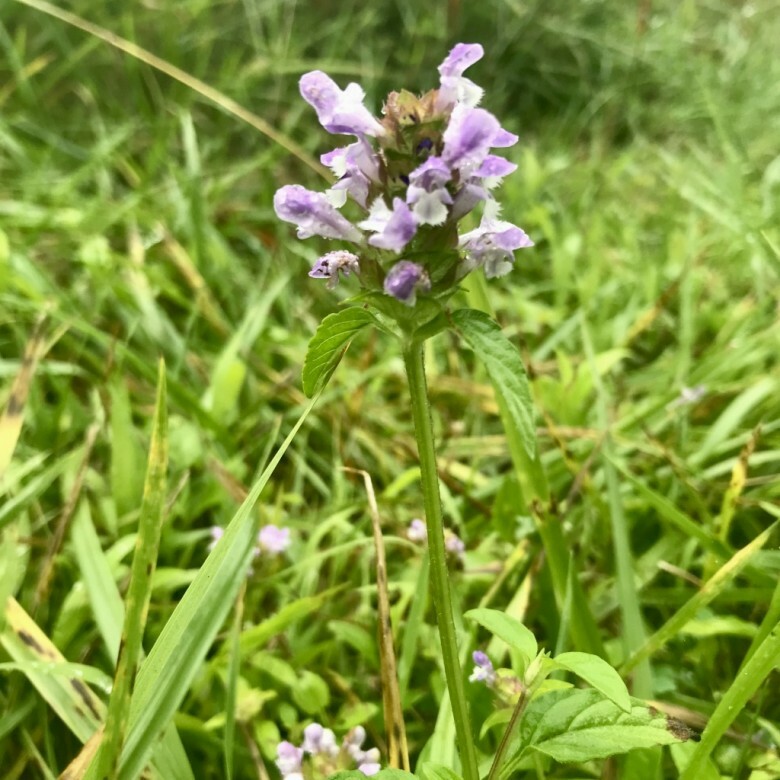 The plant in the image above is very erect and sits a foot or so above the ground, but self-heal can also sit very low and flush with the grass. The aerial parts (flowers, stems, and leaves) of this plant are used to make medicine. Self-heal is also known as heal-all and as the name suggest is used for healing. Self-Heal can be used as a poultice to help stop bleeding and to assist in the healing of wounds and burns. Tea can be made with the aerial parts to help boost the immune system and to soothe a sore throat. Self-heal has strong anti-viral properties and can be used as a tea or tincture to treat herpes. This plant that is growing everywhere in the yard has so many uses! Hopefully, I have piqued your interest and you want to learn more about medicinal plants. Lucky for us here in WNY, we have a vibrant and expanding herbal community. There are a bunch of awesome opportunities to grow your knowledge base within a short drive from Buffalo. Kristin Grohman is a community herbalist and runs the herbal education program Reciprocal Roots. She hosts an herbal hour every Wednesday where she delves into a different medicinal plant each week. Her mission is to normalize the use of medicinal plants and bring knowledge of their benefits to everyone in the community. Click here to find out more about Reciprocal Roots and how to find class times and locations. 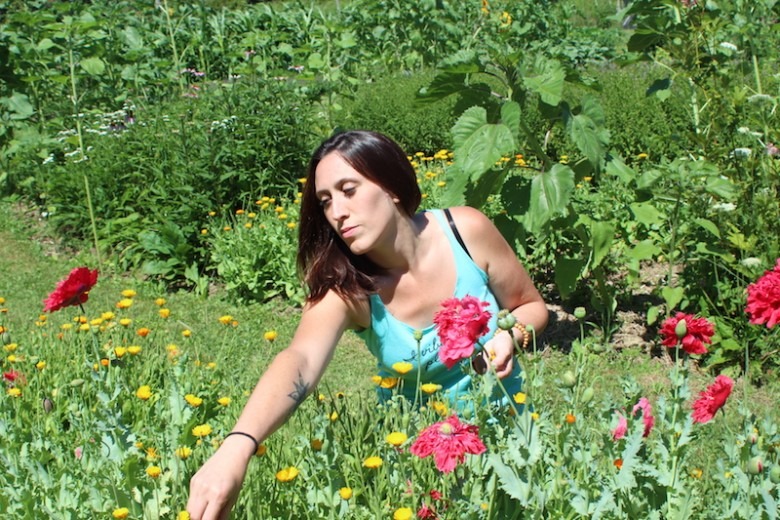 Kristin recently started a WNY chapter of Herbalists Without Borders; a nonprofit volunteer network that provides holistic care to communities in need. To find out more about the services Herbalists Without Borders provides or to get involved, click here to head to their website. As if that were not enough, Kristin also founded the first-ever WNY Herbal Conference, coming soon on September 9th. This is very exciting news for WNY and the perfect place to get your feet wet if you are curious about herbal medicine. Everyone is invited and there is no prior herbal knowledge required. The goal is to grow our herbal community here in WNY! Check out the conference facebook page here for more info. Hopefully, you now feel confident enough to get out in the yard and harvest some "weeds" to use as medicine. If you want to gain more knowledge, then get involved in the growing herbal community here in WNY. This content is intended for educational purposes only. It is NOT medical advice or a substitute for medical treatment. Consult your physician before modifying your diet or taking herbal medicine.